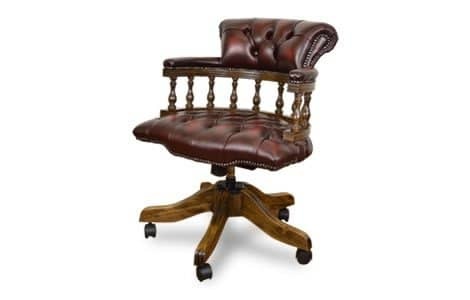 The classic leather Chesterfield captain's chair, with its deep pushed in buttons, has graced offices and homes alike for centuries. 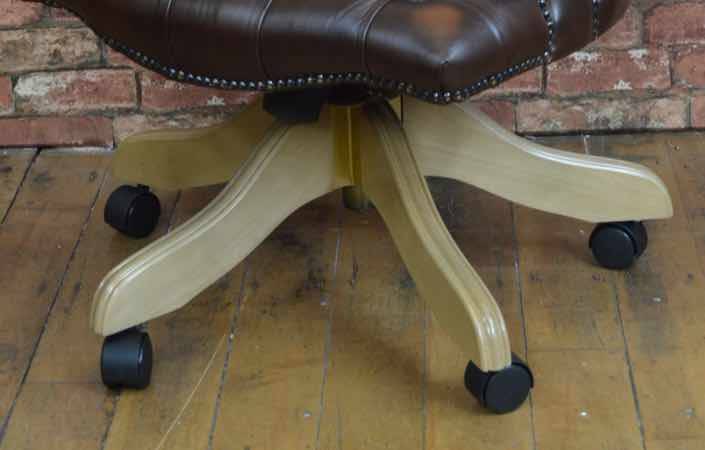 With swivel, tilt and gas height adjustable, it offers a very comfortable working position. 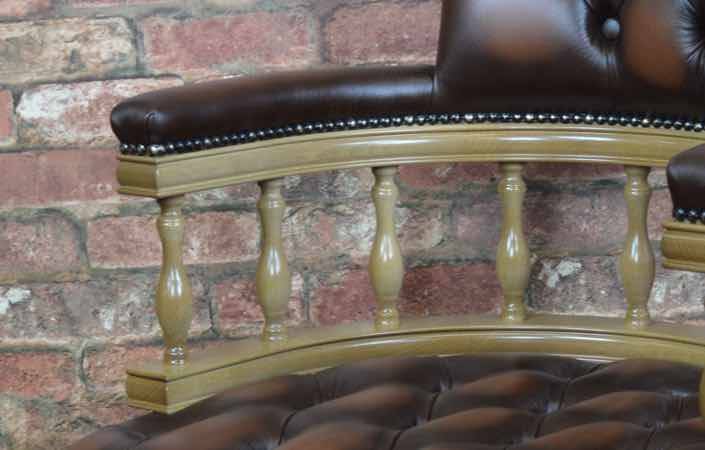 Popular colours are Antique Green, Brown and Oxblood leather, but you can fine-tune to match or contrast your existing furniture, with your own choice of colour and wood frame finish. 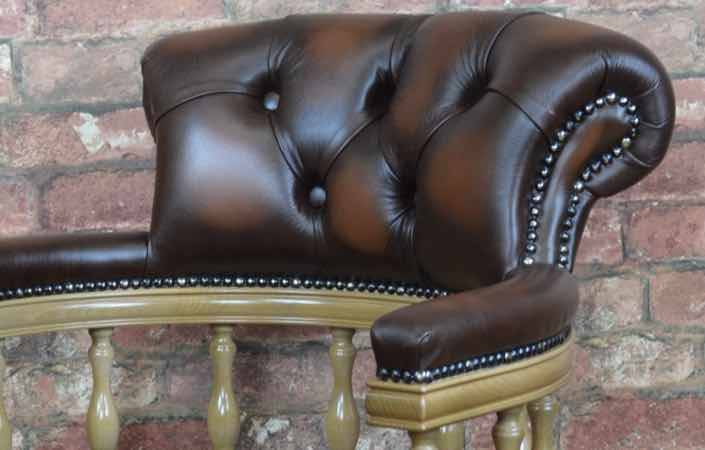 Choice of deep button detailed or plain seat. 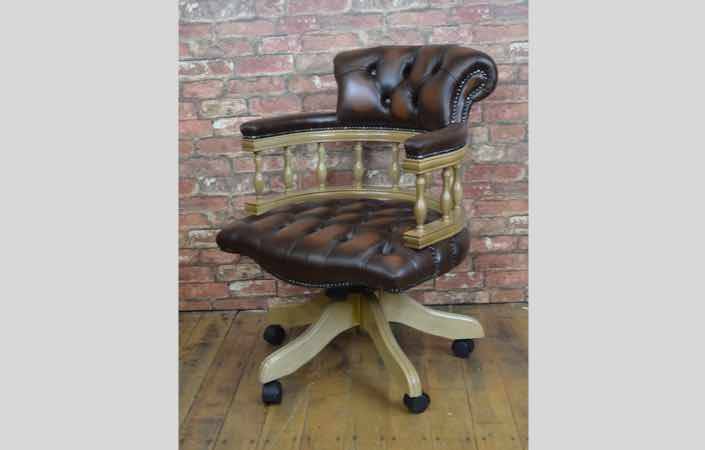 This chair can also be supplied as a traditional stand chair. Our most popular Traditional Antique leather finish is available in eight colours.